As Assistant Vice President of Systems and Technology, Tom Rentzeperis is a skilled developer, whose work is integral to building, managing, and maintaining state-of-the-art secure bankruptcy and class action settlement systems and databases with the capacity to store billions of records. He is responsible for overseeing the day-to-day architecture and implementation of GCG’s technology-based application systems and ensures commitments are met while providing high-quality solutions that exceed the expectations of GCG’s clients and project deliverables. As Assistant Vice President of Systems and Technology, Tom Rentzeperis is a skilled developer, whose work is integral to building, managing, and maintaining state-of-the-art secure bankruptcy and class action settlement systems and databases with the capacity to store billions of records. He is responsible for overseeing the day-to-day architecture and implementation of GCG’s technology-based application systems and ensures commitments are met while providing high-quality solutions that exceed the expectations of GCG’s clients and project deliverables. Mr. Rentzeperis’ career in information technology is distinguished by its diversity in programming, system design and integration. He has extensive experience handling projects involving sensitive and confidential data, including personally identifiable information and always ensures HIPAA guidelines are met and followed, when required. 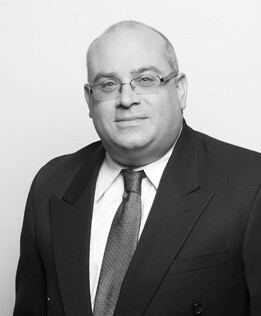 He has been highly involved in executing the technology demands for numerous cases, including Gulf Coast Claims Facility and Deep Water Horizon Economic Settlement class action and mass tort administrations, as well as theAMR Corporation Inc. (American Airlines) and General Motors bankruptcy administrations. Prior to joining GCG, Mr. Rentzeperis worked for a case/matter management software company supporting legal departments in both the private and public and government sectors.